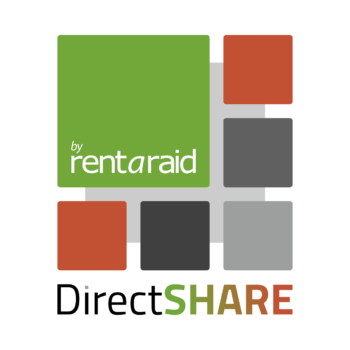 1.1 In these Terms and Conditions of Sale “ the Company” shall mean Rent a Raid Limited. 16 Warren Close, Ringwood, Hampshire, BH24 2AJ. 1.3 These Conditions shall apply to any agreement or contract (“the Agreement”) between the Company and any person, firm or company (“ the Purchaser”), placing an order with the Company in respect of any products, components or other items or services (“ the Products”). 1.4 The Purchaser acknowledges that no terms, conditions, advertisements or particulars whether verbal or otherwise, made or represented by the Company or the Company’ s agents to the Purchaser or his agents, other than such terms and conditions as are incorporated either into these Terms and Conditions of Sale or into any other written agreement signed by the Company and the Purchaser shall expressly or implicitly or by law be deemed to form part of an agreement between the Parties or to have induced the Purchaser to enter into this agreement. 2.1 The Company will be under no liability for any order received until the order is accepted by the Company in writing. 2.2 If the Purchaser orders a special design, manufacture or other non-standard requirement in respect of the Products then the Purchaser must give the Company full and adequate instructions and drawings and fulfill any other requirements specified by the Company before the Company can specify a date for delivery. 3.1 Published specifications, descriptions, photographs, measurements or capacities are approximate only and do not form part of any contract for the sale of the Products. 3.2 If the Purchaser requires any variation to the Products or to the work in respect of the installation of the Products then notice of such variation must be given to the Company with its order in writing giving full details of the variation required. 3.3 The Company reserves the right to charge for such variations. No variation work will be commenced until the Company receives a signed acknowledgement from the Purchaser of the revised terms and conditions and prices. The Company reserves the right to refuse any such request for variations. 4.1 The Purchaser shall ensure that the Products are installed and commissioned by a duly qualified competent installer. 4.2 If the Purchaser requires installation and commissioning by the Company, it shall so state on its order and the Company shall include in its quotation a price for such installation and commissioning. 4.3 The Company shall accept no liability for any defects in the Products unless the installation and commissioning was carried out by it or by someone approved by it in advance. 4.4 The Company’s employees will be available and can be contracted for advice on installation and operation. However, if the Purchaser enters a third-party agreement with a past or present employee outside the agreed upon installation and operational support in the normal course of business the Company shall have no liability for any views expressed. 5.1 In the event that the Company lends any of the Products for demonstration or evaluation purposes to the Purchaser, then the Purchaser shall be responsible for ensuring the return of the Products to the Company within three days of receiving a request for return by the Company to the same standard as it received the goods in and the Purchaser shall be liable for any damage incurred to the Products whilst on loan (including during transit) and shall compensate the Company for any such damage to the full cost of the replacement of the Products or their repair to be decided at the discretion of the Company. 6.1 Prices for the Products exclude transportation, packaging and insurance. Unless explicitly stated, quotation figures exclude VAT and are added to the final invoice if a purchase is made. 6.2 The Company reserves the right to increase or decrease any price quoted for the Products in the event that any of the following charges change after the date of acceptance of the order: charges by suppliers, rates for freight, marine insurance, customs duties, landing, clearing and delivery charges and other taxes and duties. The Company will notify the Purchaser promptly of any such changes in writing by facsimile and the Purchaser shall be deemed to accept such price change unless it notifies the Company otherwise by facsimile within 7 business days of receipt of the Company notice of increase. 6.3 The price for the Products does not include the cost of installation or commissioning of the same which cost will be the subject of a separate quotation, or detailed separately in the same quotation as the Products, unless requested not to be included by the Purchaser. 6.4 If the Company incurs additional costs due to delays caused by the Purchaser the Company reserves the right to increase the price of the Products to take into account the increased costs up to a value of no more than 5% of the order in question. 6.5 Prices quoted to Purchasers whose place of business is outside the United Kingdom are based on the prevailing exchange rate at the date of the acceptance of the order. 6.6 Prices for the Products do not include any repairs to or servicing of the Products other than those covered by the normal warranty unless the Purchaser has entered into a service agreement with the Company. 7.1 Payment terms are as agreed at the time of placement of order. Requirement of whole payment or percentage deposits with PO are dependant on the category of product purchased. 7.2 The Company shall be under no obligation to accept payment other than pursuant to 7.1, but satisfactory security for the purchase price shall be a precondition of any agreement for the payment of the price after delivery of the Products. 7.3 The Purchaser must ensure that any lease or hire purchase finance is arranged in sufficient time to enable settlement on or before the delivery or installation date. Any deposit paid by the Purchaser will be refunded upon receipt of payment in full of the purchase price by the finance company. 7.4 Failure by the Purchaser to pay in accordance with the provisions of this clause shall entitle the Company, without prejudice to any of its rights, to suspend any outstanding deliveries or to cancel the contract, upon 7 days notice to the Purchaser. 7.5 The Company shall be entitled in addition to its rights under sub-clause 7.4 to charge interest on any amounts outstanding at the rate of 2.5% per month from the due date to the date of payment (both after and before any judgment). 8.1 The time for delivery shall be agreed in writing and signed by both the Company and the Purchaser. The Company shall use all reasonable endeavors to comply with such delivery date. 8.2 Delivery shall be at the Purchaser’ s premises unless otherwise agreed between the Parties. 8.3 Risk will pass on delivery, which will be the time of delivery of the Products from the Company’ s premises to the Purchaser’s premises. 8.4 If by reason of any act or omission of the Purchaser, the Company is not able to deliver the Products within 14 days of the agreed time for delivery the Company may charge storage fees to the Purchaser. 8.5 If the Products are not delivered by the Company within 30 days of the agreed delivery date due to delays caused by the Purchaser the Company shall have the right to terminate immediately by notice in writing the contract for the sale of the Products and sell the Products elsewhere. 9.1 The Purchaser shall examine the Products before taking delivery on its premises and notify the Company in writing of any shortage within 7 days of delivery of the Products, in which event the Company shall make good the shortage without further cost to the purchaser. 9.2. Upon delivery, the customer should immediately examine the package(s) for any external damage and note any apparent damage on the carriers paperwork. If the customer is unable to make such an inspection then the goods should be signed for ‘unexamined’. 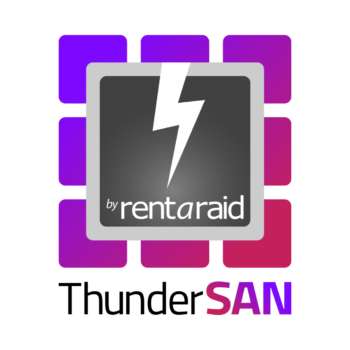 In such circumstances the goods should be inspected the same day and any damage be reported to Rent a Raid Limited immediately. In the event a Carrier does not allow the customer to fulfil the above requirements then the delivery should be refused and the carrier requested to return the goods. In the unfortunate event goods have been delivered damaged, it is imperative we are notified with 24 hours of receipt. 10.1 The Purchaser shall be responsible for ensuring that any license or consent required by law in the Purchaser’ s territory is obtained and the Company shall have no liability for any such omission by the Purchaser. If the Purchaser is unable to obtain such license or consent then the contract shall immediately terminate and neither the Company nor the Purchaser shall have any liability towards each other. 10.2 When required by the Company, the Purchaser shall show proof of any import or export license or any other license or consent required either to the Company or to any supplier of the Company. 11.1 Whether or not the risk in goods sold shall have passed to the Purchaser, the property in goods sold shall be and remain in the Company until the Company has received payment in full for them, together with payment in full for any other goods supplied by the Company to the Purchaser the price of which is overdue for payment. Pending receipt by the company of such payments the Purchaser shall hold the goods for the Company as fiduciary bailee and shall store the goods in such a way as to enable them to be identified as the property of the Company. 11.2 Until payment in full is made the Purchaser shall not incorporate the Products in or use the Products as material for other products. 11.3 Notwithstanding that payment in full shall not have been made, the Purchaser shall be entitled to sell the Products on, provided that this right may be terminated by notice in writing from the Company, if the Purchaser is in default of any contract or obligation owing to the Company. 11.4 Until payment in full has been made the Purchaser shall take all necessary measures to store the Products safely and keep them in good condition, and shall insure them against all risks normally insured against by businesses similar to the Purchaser (including fire, theft and accidental damage) to their full replacement value. 11.5 The Company shall be entitled to require the Purchaser to deliver up the Products to the Company at any time following a notice of default pursuant to clause 11.3. 12.1 The Purchaser acknowledges that it has no right, title or interest in any copyright, design rights, know how, patents, trade marks or any other intellectual property right used in or for the purpose of selling the Products (“ the Intellectual Property” ) other than expressly set out herein. 12.2 The Company hereby grants the Purchaser a non exclusive royalty free license of the Intellectual Property in respect of each Product commencing with the accepted order and terminable on notice by the Company. Such license is assignable only to bona fide purchasers of the Products from the Purchaser. Any license of copyright relating to software contained in the Products is restricted solely to the use of such software in the Products. 12.3 The Purchaser acknowledges that the manual supplied by the Company to the Purchaser with the Products is the property of the Company and no part of the manual may be reproduced or transmitted in any form or by any means, electronic or mechanical for any purpose without the prior written permission of the Company. 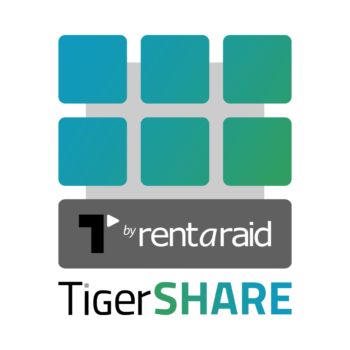 12.4 The Company acknowledges that “ Rent a Raid” is the registered name of the Company and this name may only be used by the Purchaser with the prior written consent of the Company. Any license of copyright relating to software contained in the Products is restricted solely to the use of such software in the Products. 13.1 The Purchaser confirms that he is relying on no terms, conditions or warranties other than those expressly set out herein. All terms, conditions and warranties which may be implied by law are hereby excluded. 13.2 The Company’ s total liability in respect of any claim arising in connection with the performance of this contract shall be limited to the price of the goods supplied under the contract. 13.3 The Company shall not be liable for any indirect consequential loss or damage (whether for loss of profit, loss of business, depletion of goodwill or otherwise) costs or expenses which arise in connection with this contract. Here is an outline of our returns policy. If you wish to return a product or report a fault, please contact us on 0845 4301080 (international +44 1425 474725). Items can be returned for a full refund less carriage and credit card charges (2%) if originally purchased with a credit card within 7 days provided they are returned in the original packaging, are complete and in ‘as new’ condition. If you wish to return an item, then please call us on 0845 4301080 (international +44 1425 474725) in order that we know to expect the item back. Please make sure that you use an insured delivery service as we cannot accept responsibility for items that are lost or damaged on the way back to us. Alternatively, we can arrange collection with our courier, although this service is chargeable. Should you be unfortunate enough to receive a faulty item or the product develops a fault within 30 days, we will be happy to arrange to have this item collected from a UK Mainland address at our expense and either repaired or exchanged to at least the same value depending on your preference. If the item has been exported then we will not cover any additional costs of collection and/or delivery. Should your purchase develop a fault after 30 days (but still within Manufacturers warranty period) from date of receipt we will be happy to help facilitate any warranty repairs necessary. This will not include any carriage charges, however we can arrange for our courier to collect and deliver at a pre-arranged cost. We may choose to send the item to the manufacturer or repair in our own service centre. If the repair is deemed uneconomical we reserve the right to offer an exchange or refund at our discretion.